NetEase, Inc. (NASDAQ: NTES) today announced its free-to-play cross-platform MMORPG, Crusaders of Light, is available to play on Steam, along with a new global server (Ferroc Camp, set at North America UTC-8) and a major content update (“Surge of Elements”) that introduces a new team raid, a new dungeon, two new deadly bosses, and an all-new class: the Elementalist. 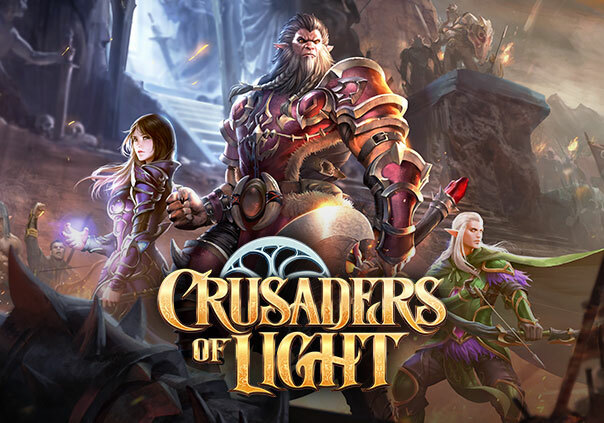 Now available on The App Store, Google Play, Facebook Gameroom, and, starting today, Valve’s Steam digital distribution platform, Crusaders of Light features over 300 hours of available gameplay, a gorgeous 3D fantasy world, a series of challenging dungeons, and epic 40-person raids. With Crusaders of Light, players can continue their adventures at home or on the go. Crusaders of Light’s latest update introduces the Elementalist class, spirit mages who control the magic of the elements and wield masterful control over wind, earth, water and fire to deal damage and protect allies at all costs. Like the game’s other classes of Ranger, Warrior, Mystic and Paladin, Elementalists have three different paths they can follow in their journey - Pyromancer, Cryomancer, and Conjurer - each with its own skills and advantages for the job at hand. The update also introduces a new 10-person team raid - Wind Bluff Prison - offering players increased difficulty, a new dungeon to explore and the opportunity to bring down two new terrifying bosses. Players who have reached level 55 with a talent level 65 can participate for new loot and exclusive achievements, like titles for the first players to defeat the dungeon on each server. Along with the new class and team raid the “Surge of Elements” update will include new item sets: Molten Flames that can dole out deadly fireballs and Cleansing Chains that can shield allies.